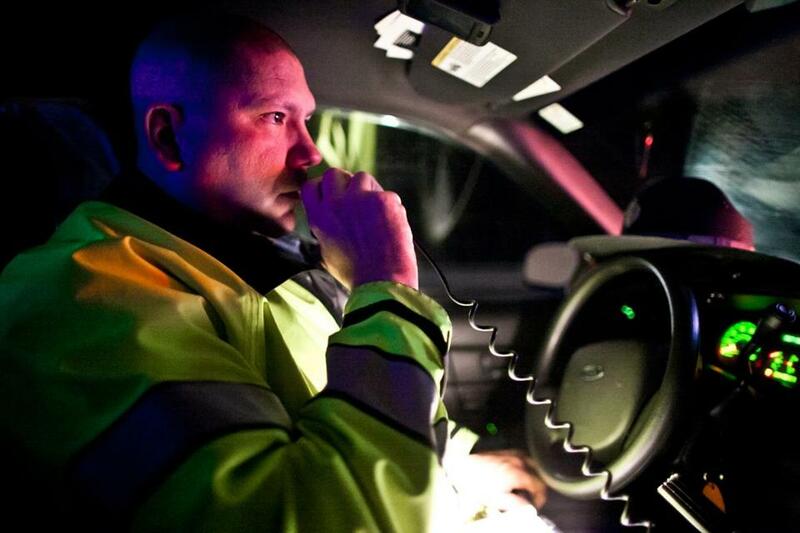 Trooper Matthew Sheehan communicated over the radio after having stopped a suspected drunk driver along Interstate 93 in 2011. The Massachusetts State Police trooper who fired his rifle last weekend in a confrontation with bikers has admitted writing a series of racist and profane online comments that sparked public outcry, his lawyer said Friday. State Police officials suspended Trooper Matthew Sheehan, a 13-year veteran of the department, without pay Friday for writing the controversial, divisive posts. Sheehan had already been on paid leave in the wake of the shooting last Saturday in which he wounded a Cape Verdean ATV driver. Sheehan’s attorney, Richard Rafferty, said Friday that Sheehan was being treated unfairly, noting that more senior State Police officials had been allowed to remain on the payroll, or retire with full pensions, while under investigation for misconduct. “Here, we have a knee-jerk reaction by a colonel under political pressure to suspend a trooper without pay, virtually putting him and his family on the street, all without an investigation into the allegations of comments made in a chat room,” Rafferty said in a released statement. The Massachusetts State Police trooper who fired his rifle during a confrontation with bikers and ATV riders on I-93 posted racist and profane comments online. The Globe first reported Thursday that Sheehan, 49, has a long history of posting racist and profane comments on the Masscops.com website, including some in support of police officers who shoot suspects. The story sparked immediate reaction and calls for Sheehan’s termination. Sheehan sprinkled his posts as Big Irish with biographical information that the Globe verified as Sheehan’s, including his birthday, hometown, and work history. He mentioned taking a Globe reporter on a ride-along and was photographed for the story. Two people with knowledge of the situation also identified Sheehan as Big Irish. On Friday, he acknowledged writing the posts. Sheehan earned $233,351 including overtime and other pay in 2016, according to public records. Also on Friday, the Lawyer’s Committee for Civil Rights and Economic Justice, urged the governor and State Police to terminate Sheehan immediately. The Suffolk district attorney’s office is conducting an investigation into the expressway shooting and has interviewed Sheehan. State Police have a pending internal affairs investigation into the online commentary. Sheehan fired his rifle Saturday while state troopers and Boston police tried to stop a group of between 25 and 35 people riding dirt bikes and ATVs in and out of traffic and in the wrong direction near the Exit 18 ramp of I-93 South. ATV driver Aderito Monteiro, 28, was wounded in the foot. Sheehan, who has been a trooper since 2005, is currently assigned to the State Police — Tunnels Barracks. In 2008, he received the Massachusetts State Police Medal of Merit for helping a Gloucester police officer subdue an armed and violent man wanted for attempted murder and kidnapping, according to media reports at the time. Sheehan has been the subject of five internal affairs complaints between 2011 and 2016, according to public records, including one for profanity and another for using excessive force. The excessive force complaint was found not to have merit. It was unclear Wednesday what the outcome of the profanity complaint was. Three other complaints, the nature of which were unclear, against Sheehan were listed as “filed,” which means no disciplinary action was taken. Andrea Estes can be reached at andrea.estes@globe.com. Evan Allen can be reached at evan.allen@globe.com.